Grain Free and organic eating plans are becoming more popular as Americans are looking for a better way to fuel their bodies. 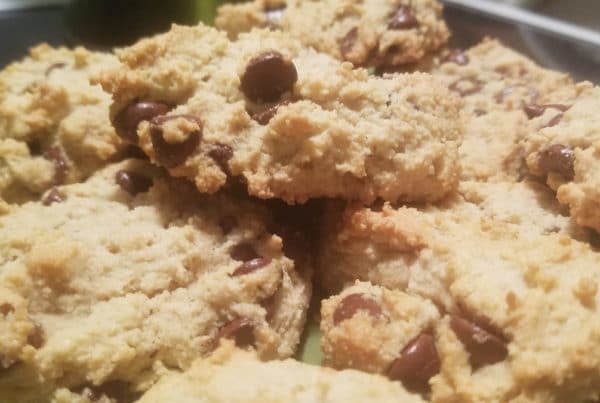 Choosing to use organic vegetables and baked goods made with almond or coconut flour instead of traditional grains can reduce the occurrence hunger, help with weight loss, and keeps insulin levels low. 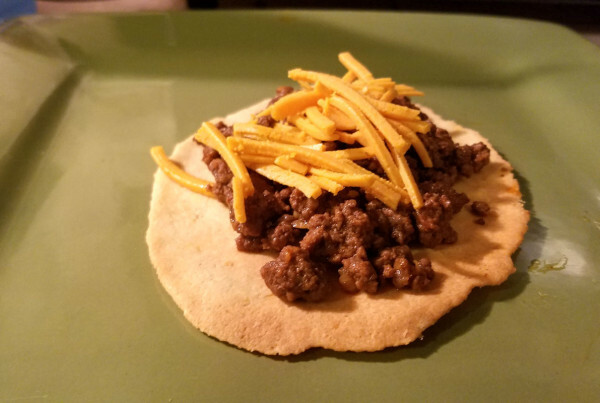 We, also, encourage you to use grass-fed, organic ground beef in this recipe as well. It can be purchased at many grocery and specialty stores. It is only a dollar or two more than the regular ground beef but without the added hormones and antibiotics. Grass fed beef has less fat than regular beef and usually fewer calories because of it. The big difference, however, lies in the levels of Omega-3 fatty acids. Grass feed beef has as much as 5 times the amount of Omega-3 than other ground beef. This is important because Omega-3’s are an important part of a healthy diet. They reduce inflammation in the body, lower the risk factors for heart disease, and reduce blood pressure levels. Some studies have shown that Omega-3’s can reduce the symptoms of ADHD and Alzheimer’s. Regular beef has an unbalance ratio of Omega-6 to Omega-3. An imbalance of a higher rate of Omega-6’s can increase inflammation instead of counter it. 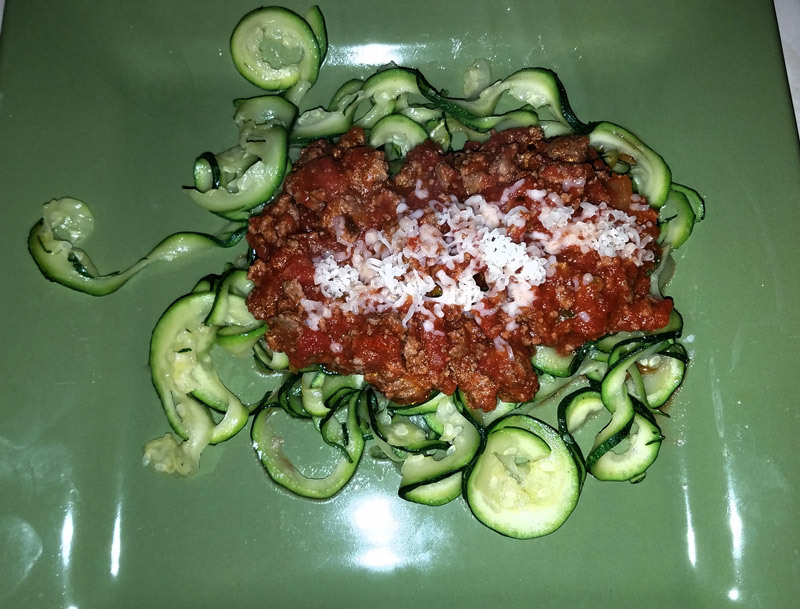 This dinner made with spiraled zucchini used as noodles has been a huge hit at our house. It is quick and easy to make. 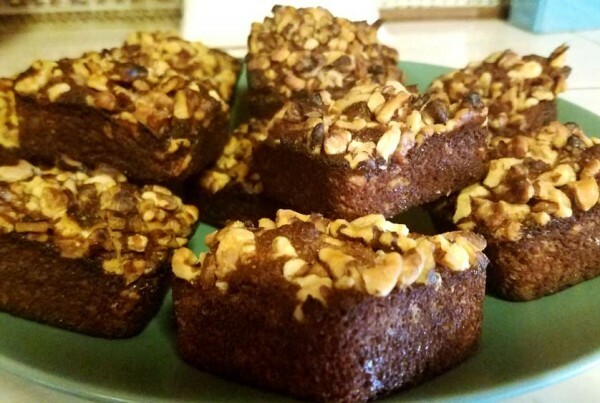 It is a familiar dish for those who are trying to switch to grain free eating because it uses regular spaghetti sauce and ground hamburger meat like traditional spaghetti. 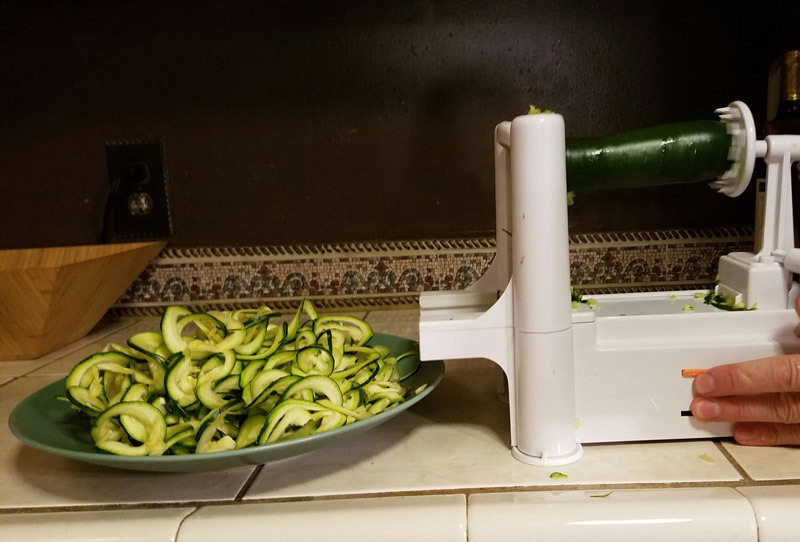 The recipe does require the use of a vegetable spiral slicer. They come in a wide range of prices, but many are available for under $15. The inexpensive ones work just fine. We found ours at Big Lots for about $15. *Read your labels. Many pasta sauces have added unwanted ingredients. 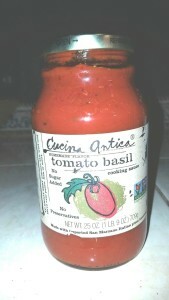 Look for sauces that are as natural as possible and GMO-free. 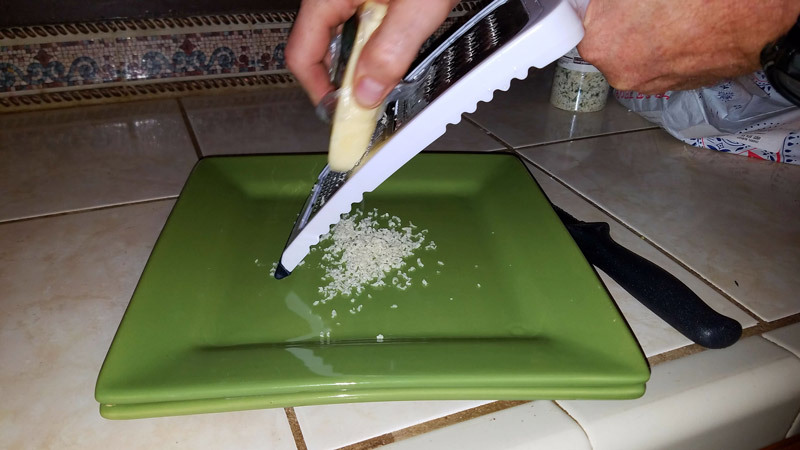 Grate Cheese and set aside. Combine with pasta sauce in a saucepan. Let this simmer on low while spiraling the zucchini. Lightly sauté the noodles in coconut oil. They still should have a slight crispness to them. 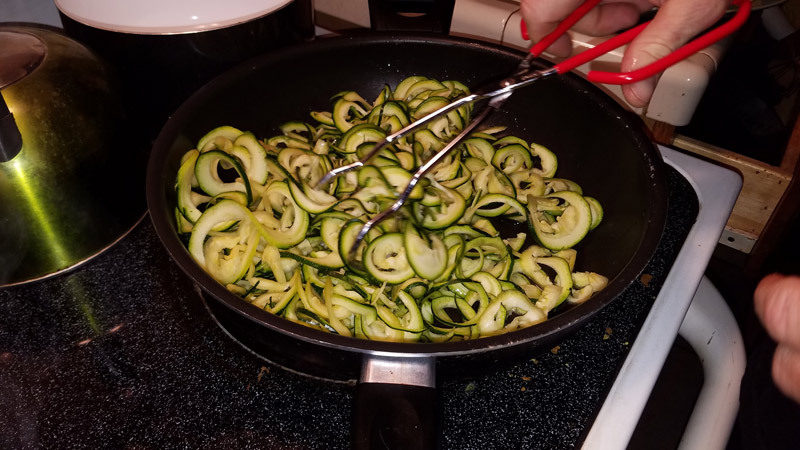 The zucchini must be spiraled and sautéed quickly. If allowed to sit the noodle can become mushy. When the noodles are at the desired texture, drain and serve topped with pasta sauce and ground beef mixture and grated cheese.